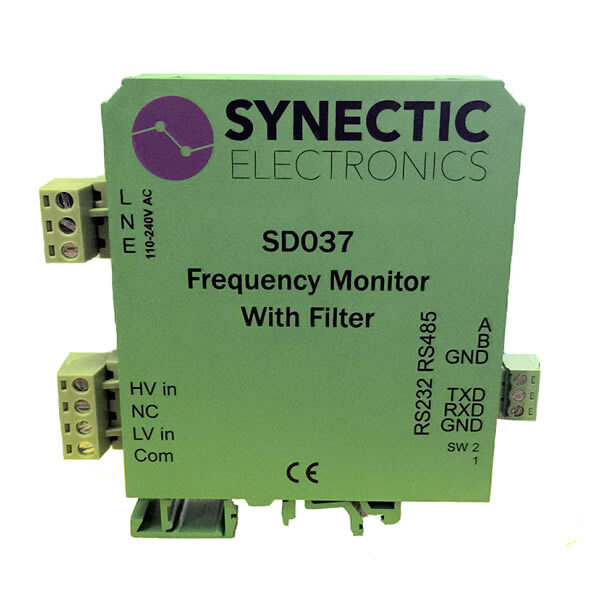 Synectics’s SD037 dynamically monitors mains frequency. The filter enables high speed, high accuracy, frequency monitoring even with high levels of harmonic noise. The SD037 is highly prized in demand side energy management and the associated battery storage technologies. 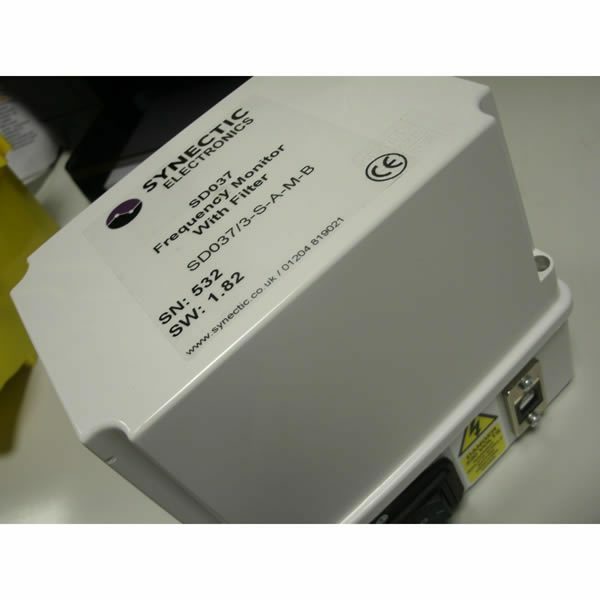 The unit monitors the frequency of a mains voltage signal and reports the value, on demand, via an RS232, RS485 using either simple ASCII commands or Modbus protocol. The unit responds to a frequency reading in less than 90msecs with an accuracy of 4 decimal places. This enables the user to switch assets either on or off therefore meeting the needs of the National Grid. The frequency monitor units are supplied pre-calibrated to an accuracy of +/-0.0001Hz. According to crystal oscillators manufacturers data drift in the 1st year is +/-5ppm =+/-0.0003Hz max. Over the following 10 year period drift is +/-10ppm= +/-0.0005 Hz. After the first year the performance improves with age. The SD037 frequency meter features a 3 pole low pass Bessel filter with a -3dB frequency of 75Hz. This removes unwanted harmonics from the input signal. 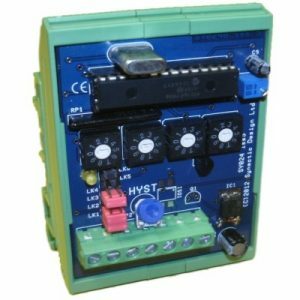 It is housed in a DIN rail mount case and powered from a universal input mains supply. Widely used in energy management in industrial and utility applications. There are several variants of this product in terms of communication protocols. Bespoke command sets can be written on request to enable specialist demandside aggregators to enhance their offering to the marketplace. If you are replacing your unit our records will help us identify exactly what you already have. See one of Synectic’s projects using this product. We are always happy to discuss particular applications or special requirements so don’t hesitate to contact us. Note: There are 1 Manuals/Data Sheets which are only available to Registered Users.